This is a cleverly-choreographed one shot video for the Kiwi classic written by Dobbyn when based in Sydney. (Even if it's debatable whether the moving house/moving on imagery actually suits the lyrics of the song.) 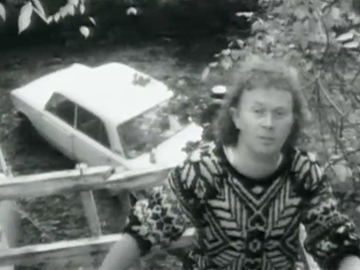 Dobbyn's jersey and his video girl's entire get-up firmly date-stamp the romance and real estate story in the 80s, but the song has outlasted the knitwear: In 2001 APRA members voted it the third-best New Zealand song of the 20th Century. Loyal was later used by Team New Zealand as its campaign song for its 2002 defence of the America’s Cup.